Yes, you can pay off credit card debt without dying of old age first. Here's how. Recently, I used a calculator to discover a pretty shocking statistic. If you have $5,000 in credit card debt and you're paying a minimum payment of $90 per month at around 19.90 percent interest, it will take you over 13 years to pay off. Assuming you don't spend a penny more on that credit card while you try to pay it off, you'll spend over $9,000 on interest alone. Scary? Absolutely—and it's even scarier when you realize that the average Amerian household has over $25,000 in credit card debt. Credit card debt in America is at an all-time high, and that's pretty bad for all parties involved. Make no mistake about it, personal finance experts are right when they call credit card debt one of the most dangerous things that can happen to your financial stability. In an ideal world, we would avoid credit card debt like the plague. But, let's be real, most of us will have to learn how to pay off credit card debt sooner rather than later. Here's how experts tell people to pay off credit card debt the right way. First, assess the situation to determine if it's even possible for you to make ends meet. Here's the insidious thing about credit cards that no one wants to bring up: high interest rates can quickly make it impossible for people to pay off the balances they have without having to take food out of their mouths. If you find yourself paying minimums of one card with other cards, or worse, skipping credit card payments because you have to choose between debt and food, STOP. Take a deep breath. Chances are, you will not be able to pay off credit card debt that's gotten this bad without a second (or third) job—or external help. If you are working as hard as you can, and still can't pay down debt, stop paying the minimum. You do need outside help to fix this. Do not, however, make the mistake of calling a debt settlement company to get rid of credit card debt. More often than not, they don't actually help you as much as they claim to do. Rather, consider calling up the credit card company and asking for a debt settlement agreement. You may be rebuffed, but if you've defaulted on your credit card payments, chances are very high that they'll let you off the hook for a large portion if you can pay a bigger chunk of it off. Admittedly, this can and will hurt your credit score. You will not be able to get good interest rates on a card for a long time if you do this. However, it's better than filing for bankruptcy, don't you think? You also may want to identify if you're being abused by debt collectors. Before we go into talking about how to pay off credit card debt, you need to know what to expect when talking to debt collectors. As a debtor, you have the right to avoid harassment, verbal abuse, threats, and non-legal forms of collections. If you feel your rights have been infringed, you might want to contact a debt relief company. Many of them will handle the debt collectors' harassment issues for free—and will actually pay you for reporting them as a result. You can use the money you collect from the callers to pay down credit card debt. If you can pay down the minimum without having serious problems, then you should try the Snowball Method. With the Snowball Method, you focus on one credit card at a time. Obviously, since you're trying to pay off credit card debt quickly, you also stop using all your credit cards. To do this, choose the credit card with the highest interest payments. 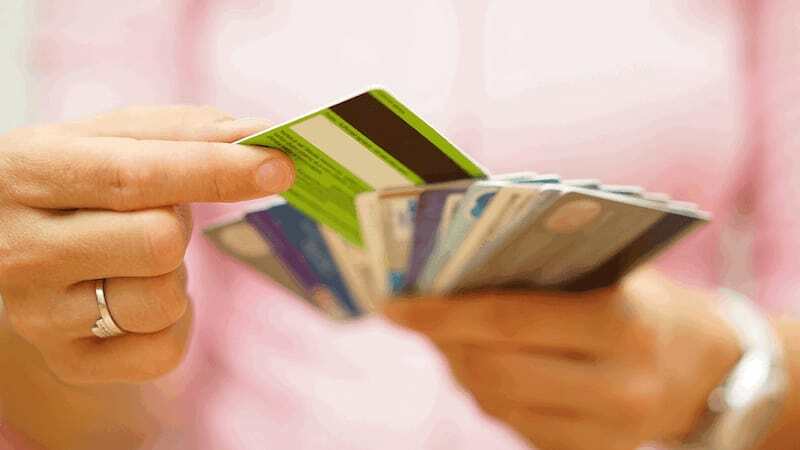 Start paying as much money as possible on that particular credit card while you continue to pay the typical minimum payments on all the other credit cards. Get an extra job or "trim the fat" of your lifestyle to free up more money to pay down the debt. This sounds obvious, but for some people, it's really not. In some cases, downloading an app that automates your savings to help add to the amount you pay towards your target credit card. Apps like Qapital and Acorns allow you to automate your savings and then withdraw them to pay off credit card debt faster and easier. These apps also have interest or stock market gains attached to them, which makes them some of the best apps to make you money. Remember, the more you pay down above the minimum balance, the faster your credit card debt will go down. The minimum payment on a typical credit card barely covers the amount of interest you'll pay—if even that. Once you get the credit card you're focusing on down to a $0 balance, you close down the card. Then, you focus on the next highest-interest card. Then, the next. Rinse, repeat. Debt is soul-crushing, and it's really scary if you don't know how to pay off credit card debt you've already accrued. That's precisely why there are 501(c)3 non-profits that help people deal with this. Unlike for-profit businesses, these groups will not charge you an arm and a leg for services. They are more about helping than they are profiting—and that means good things for you. Using an interest rate hack can also help. Though the Snowball Method can help, sometimes you might want to add a little "nitro" to it by curbing the amount of interest you pay on the card each month. There are a couple of credit card interest hacks you can use to pay off credit card debt faster. Transfer your highest balance to a zero percent introductory interest credit card, and take that time to pay down the debt. You'll find that it's way easier to pay down debt quickly and effectively when interest isn't eating up the majority of your payments. Consider getting a loan at a lower interest rate to consolidate your credit card debt. This is a classic debt relief move, but admittedly, it doesn't technically get you out of debt. What it does is prevent you from having to pay even more interest on the credit card debt you've already accrued. Simply put, if you switch credit card debt that is held at a 22 percent interest rate to a loan with a ten percent interest rate, you'll end up paying less over the long term. Call up the credit card company and try to negotiate a lower rate. Most users find that this works if you're persistent and mention that you're considering switching to another credit card. That being said, it won't make the interest rate drop down significantly—but it'll still help. Sounds simple? Good, it should be. Though it may sound unreasonable to do so while you're trying to pay off credit card debt, have an emergency savings fund. It may sound like a lot to do, but you really should get an emergency fund together—even though you may be trying to pay off credit card debt. However, this is a must. Emergencies can and do happen, and sometimes, the only difference between pulling through and having major delays in your debt freedom. In some particularly bad cases, not having any money set aside can even cause you to have to declare bankruptcy right when you're beginning to get your life together. Not sure where to save all those extra coins? Reading up on life hacks that save money can help you figure it out. If you can, stick to a debit-only payment style. Choose a debit card that doesn't allow you to overdraft. Overdraft fees are a major killer—and they can actually put you in a worse position than you are now. Opt out of "overdraft protection" and you'll avoid this nightmare. A good debit card will have a bank that has an app that lets you check your balance via mobile device. This is the easiest way to ensure that you aren't overspending. Cut up your high interest rate credit cards, or better yet, freeze them. This prevents you from pulling them out of your bag in hopes that they will cover that "one small splurge" you might have been wanting to get. Simply put, by limiting your access to credit, you start to psychologically see paying with money you don't have as a "no-no" move. This allows you to pay off credit card debt faster. Don't be afraid to admit to others that you're on a budget. Oof, this may be hard for some—but it can and will help you out. The people who matter will not care that you can't afford to go out with them all the time, and the people who judge you aren't the ones who you should be around. In a lot of cases, you'll find that people will often be willing to help you afford a decent standard of life if you admit you need help. They may end up being more willing to spend time with you at home, or they may end up even paying your door fee. Either way, you'll be way less pressured to keep up with the Joneses when you admit you are in a rough spot. Do keep your priorities straight. Yes, you do want to pay off credit card debt—but you also need to make sure that you have what you need in order to survive, even if it's not as comfortable as you'd hoped. So, why am I saying this? Because it's crucial that you make sure you still set aside money for these things when you're trying to pay down debt. Skipping rent on your apartment to make that credit card payment maximum will not help you out; it'll worsen your situation. That being said, there are ways to save money on food and plenty of ways to save cash on utilities and transportation. So, don't be afraid to dial down your spending—but still, realize when a need is a need. Everything else? Well, those are wants. You don't need cigarettes. You don't need a night out at a club. Assuming your clothes aren't falling apart, you also don't need new clothes. Stop spending on wants, and you'll free up tons of cash to pay off credit card balances. It's really that simple. Understand that you will be undergoing a lifestyle change to pay down debt. When push comes to shove, you will change a large portion of your lifestyle if you want to pay off credit card debt. That's just the way it is. Sure, it's not necessarily glamorous, but it will ensure that you have a brighter future and a lot less worries on the horizon—and at the end of the day, that's really what matters. Read next: How I Got Over 100k Followers on Instagram! How I Got Over 100k Followers on Instagram!